Bleach out in the sun. John Greenleaf Whittier's note: The massacre of unarmed and unoffending men, in Southern Kansas, in May, 1858, took place near the Marais du Cygne of the French voyageurs. 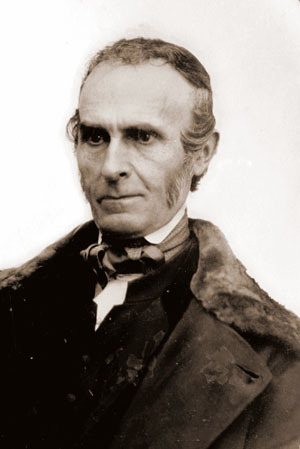 John Greenleaf Whittier was a Quaker and an ardent opponent of slavery. This poem commemorates the killing of 11 anti-slavery citizens of Kansas, killed by pro-slavery marauders at the Marais Des Cygnes (Marsh of Swans) near the border with Missouri in 1858. The Anti-Slavery militant John Brown later built a fortified blockhouse on the spot. The area through, which the Marais Des Cygnes River runs, is now a Kansas historical site, Marais Des Cygnes Massacre Memorial State Park.